Shopping for Back to the Future Bed and Bath? Get cozy for your next Back to the Future marathon! Whether you drape this decorative throw over the back of the couch or use it to cuddle up, enjoy the woven design featuring the Back to the Future logo and the DeLorean. 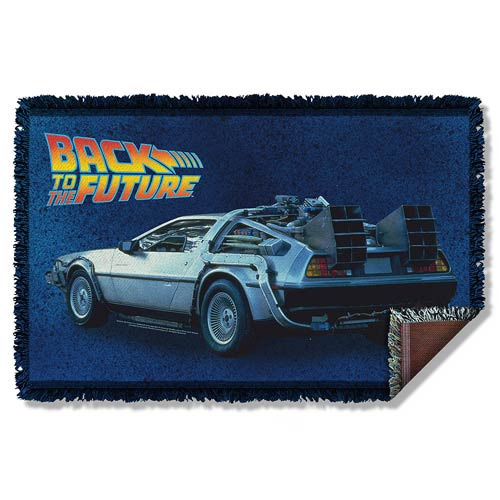 This Back to the Future DeLorean Woven Tapestry Blanket measures approximately 58-inches wide x 36-inches tall.